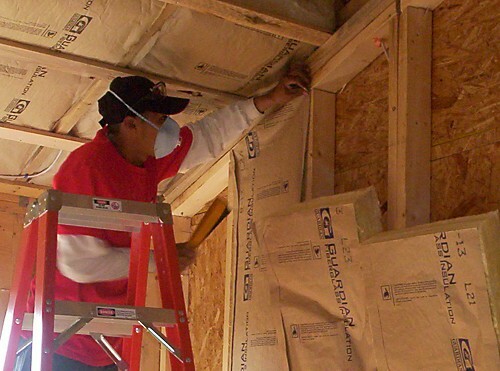 ProSales Magazine recently published a great article entitled “Six Things Dealers Should Tell Builders About Insulation.” As a lumber & building materials dealer, we feel that it is our duty to share these six things with you. It’s possible to over-insulate an attic. Re-attaching or adding insulation could save a homeowner from replacing the HVAC. To learn more about each of these points, be sure to read the full article at ProSales’ website. Consider hiring Pro Insulators, a division of National Lumber, as your sub-contractor to make your job easier and to be sure that insulation is installed correctly on your jobs. Would you mind if I linked back to this post? Go right ahead. We’re happy to share it. Foil faced fiberglass, or the product the customer has provided a link to, can be used as instructed by the manufacturer, as well as any other insulating materials. The particular link that has been provided is a reflective heat barrier product, which is commonly used beneath radiant floor heating systems as a way to help force the radiant heat upward. Is also commonly used for radiant heat ceiling applications above the heat source to force the heat down. In either application, we are still required by building code to meet minimum R-values, which the reflective barrier itself will typically not achieve. In which case additional fiberglass, cellulose or foam insulation materials will likely fill the void.